Bonjour, Goma! 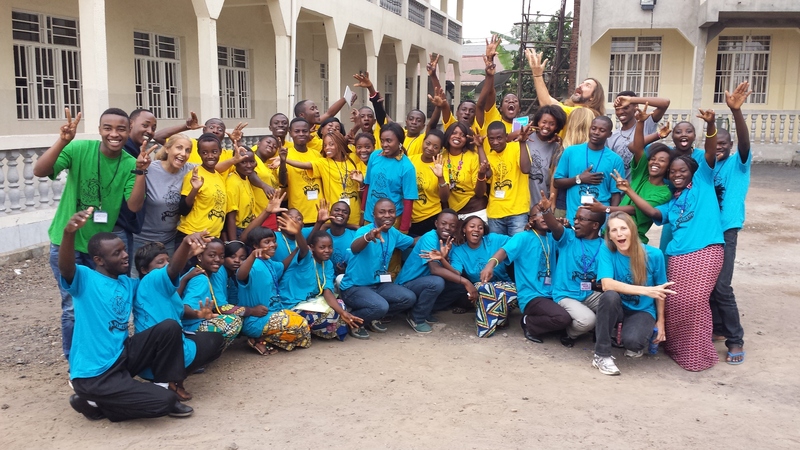 We were thrilled to hold our very first peace camp in the Democratic Republic of Congo this past August. It was a short but sweet time with 48 participants, including a youth delegation from Rwanda and special guests from Canada and the USA. 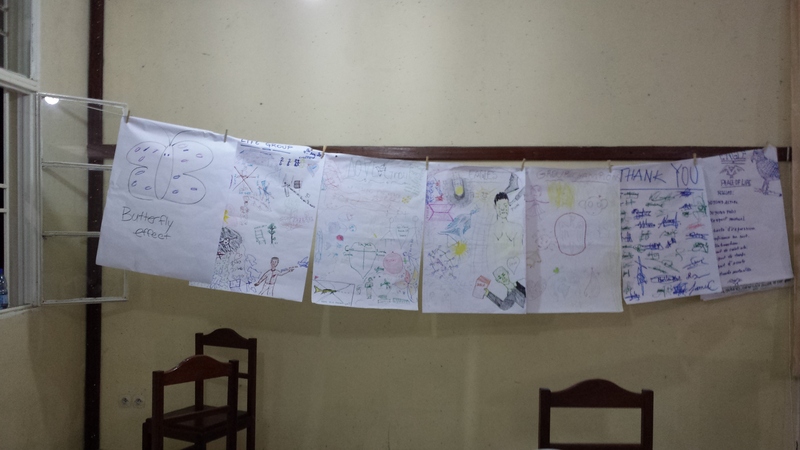 The focus of the camp was on peer counselling and art therapy. The event was held at the Centre de Formation Pedagogique Rudolf, a lovely guesthouse in Goma operated by our host partner, the Baptist Community in Central Africa. With such a warm welcome and great first start, we look forward to future events together! 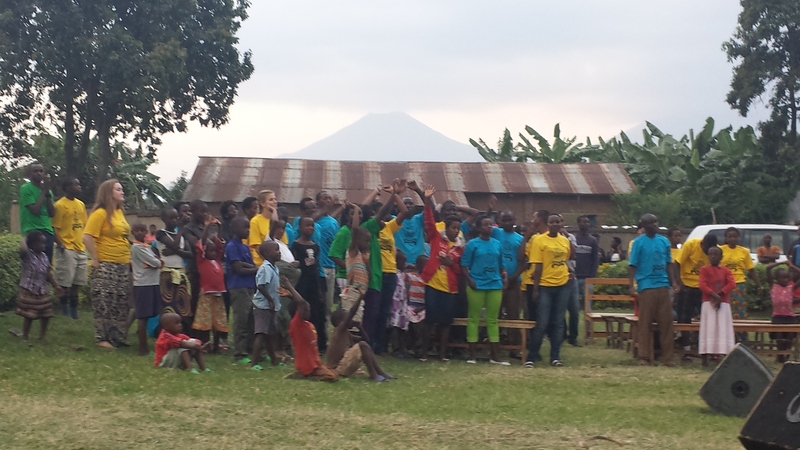 The week before, we also held our annual peace camp in Rwanda. 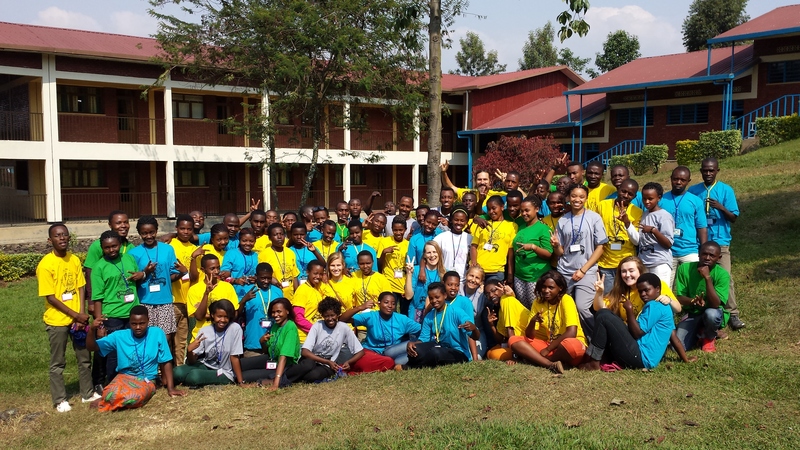 This was our 6th year and we had 64 participants representing peace clubs in Rwanda and DR Congo, as well as a CBM short-term mission team from Canada and the USA. 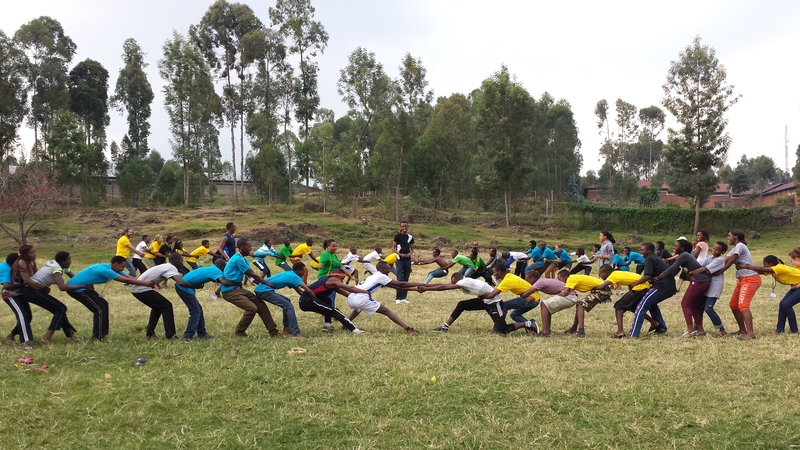 Our host site in Rwanda was Sonrise High School (Musanze) with lots of great outdoor space for sports and games. 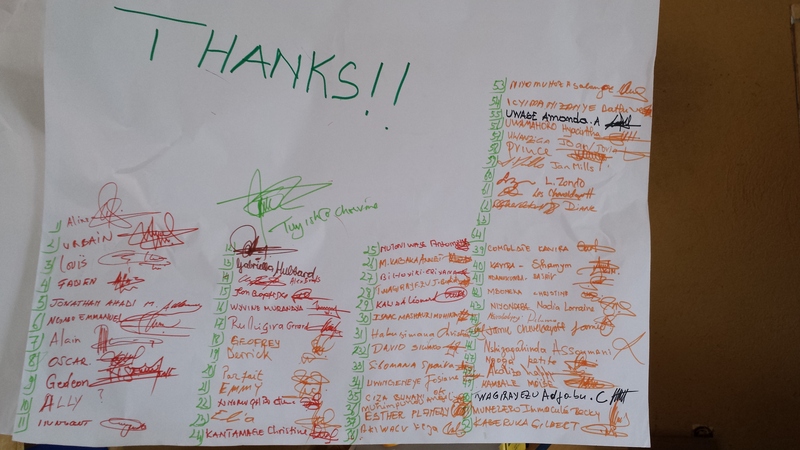 Our daily peace olympics was led by assistant camp directors, Alex Brooks (Canada) and Adjabu Twagirayezu (Rwanda). A highlight of both camps was a community peace concert with song, dance and skits performed by peace camp youth as well as special musical guests including local choirs and gospel singers along with Les Cheveldayoff, an actor and musician who plays the role of Jesus at the Holy Land Experience in the USA. 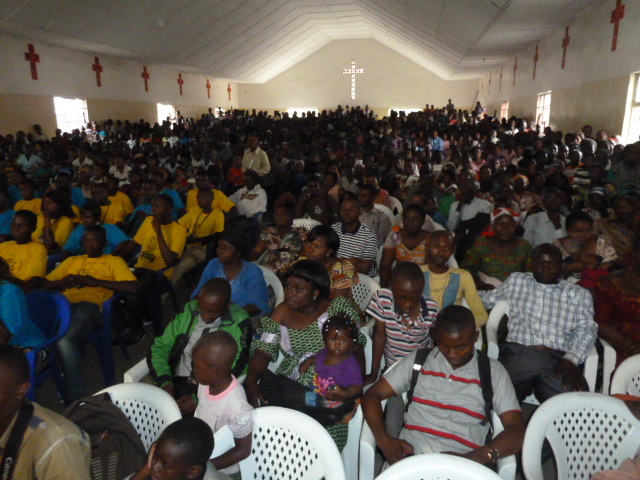 In Rwanda, the concert was held outside, on the grounds of the AEBR Church and ITB School in Musanze. It was a fun, casual and wonderful afternoon of music with the community. See more photos. 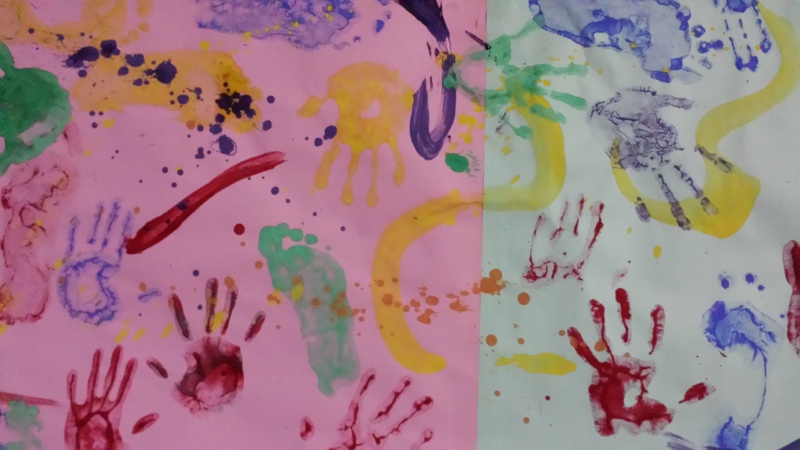 Path of peace…youth explored painting for the first time at peace camp in Rwanda and created this mural by brushing paint on hands and feet. 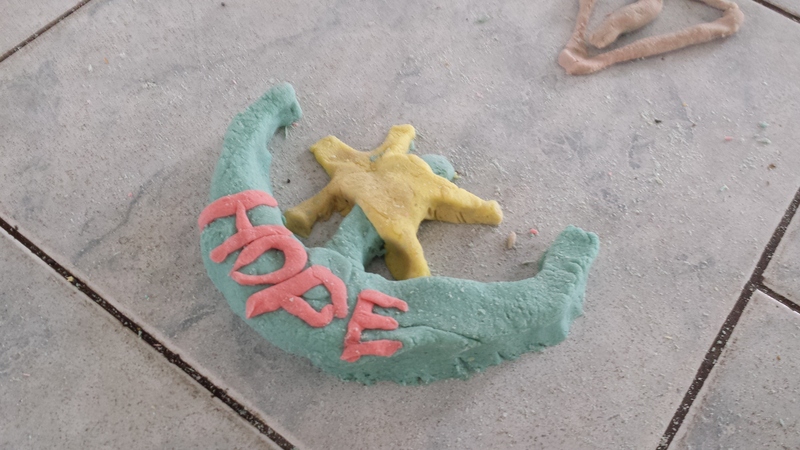 Lay your burdens down…this powerful activity greatly encouraged youth to share their problems, and to let go and let God work through the difficult circumstances they face. 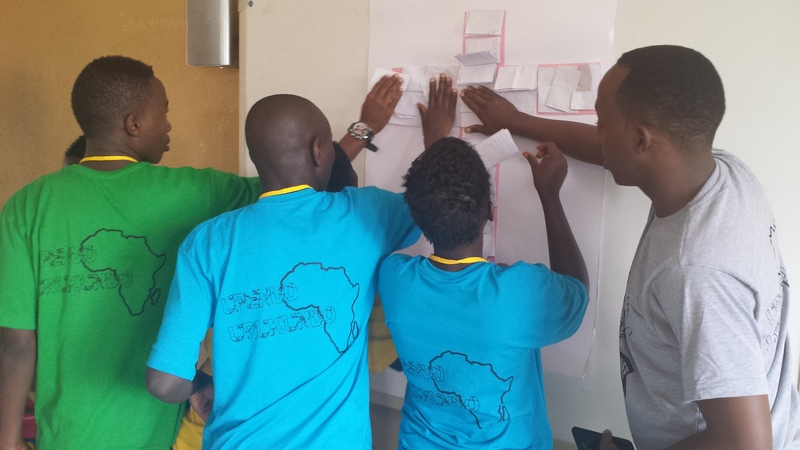 And a workshop on mental health by guest facilitator Paulette Baraka, psychologist and president of Rwanda Christian Counsellors Assoc., helped youth to better understand trauma and how to counsel their peers. Creation, the Fall and Redemption – morning devotions through team skits…this year we focused heavily on drama presentations, including acting, props and staging tips from our resident actor/director (Les Cheveldayoff), to help peace clubs improve the dramas that they do back in their schools and communities, as part of their peacebuilding. 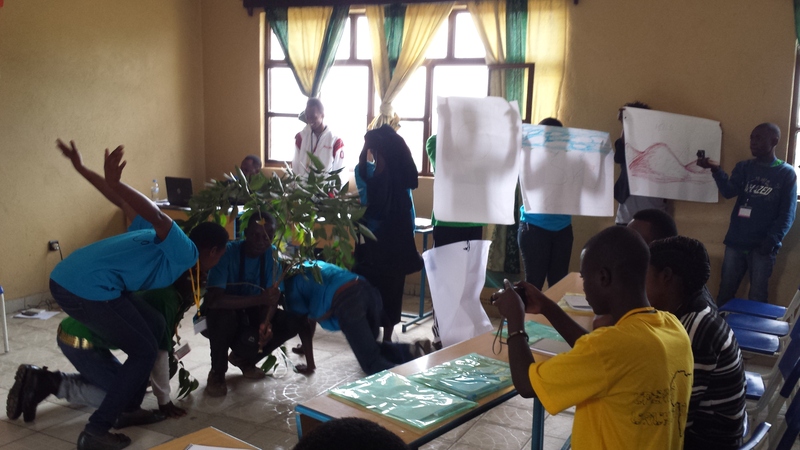 Youth have found skits to be an entertaining and powerful way to get across their concerns and issues in a way that opens up understanding and dialogue. We look forward to airing one of their dramas later this year on local radio. 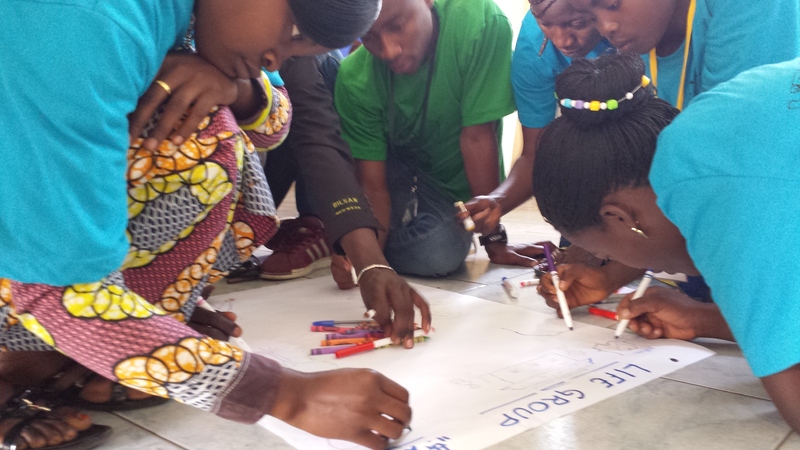 Draw your dreams and nightmares…more art therapy activities as part of learning on trauma and peer counselling at the peace camp in the DR Congo. 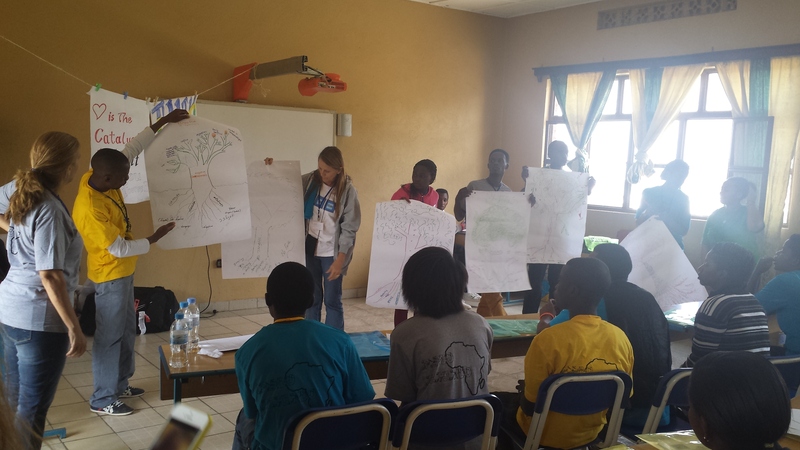 Teams present their tree drawings that explore the roots of trust and mistrust as part of learning on peer mediation and conflict transformation at the peace camp in Rwanda. 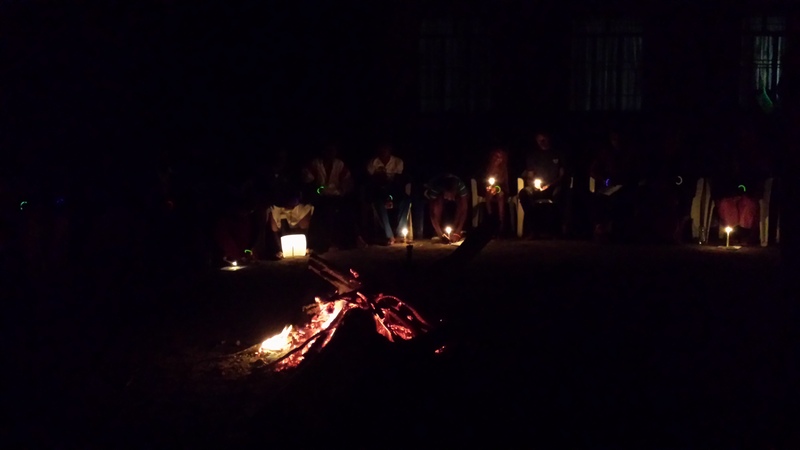 But the most popular activity overall for youth continues to be campfire – a time to enjoy the starry night and warm fire together, share in songs, dance, skits, jokes, and reflect on God’s amazing love and care for each person and the inner peace and healing that he brings. The peace camp experience is designed to help youth discover their personal value and dignity through God’s love, to treat others with compassion and respect, and take personal responsibility to act for change in their communities. 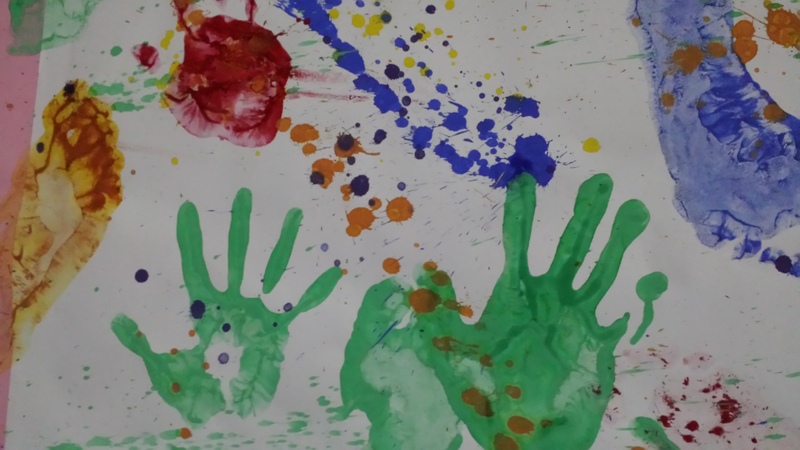 We focus on skills development in critical thinking, creativity, peer counselling, and social enterprise, to transform trauma and conflict and promote a healthy, thriving life for all. 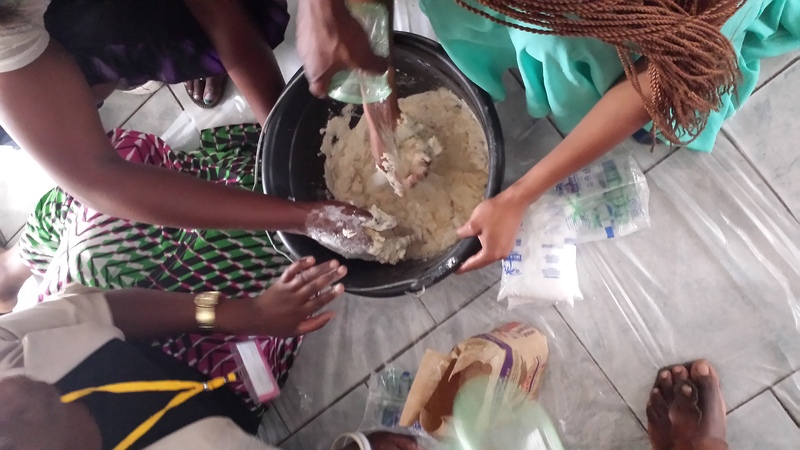 Throughout the year, we follow up with associated peace clubs and provide other training and events, including the 10,000 Dreams Challenge to encourage youth social enterprise. We invite you to join us. 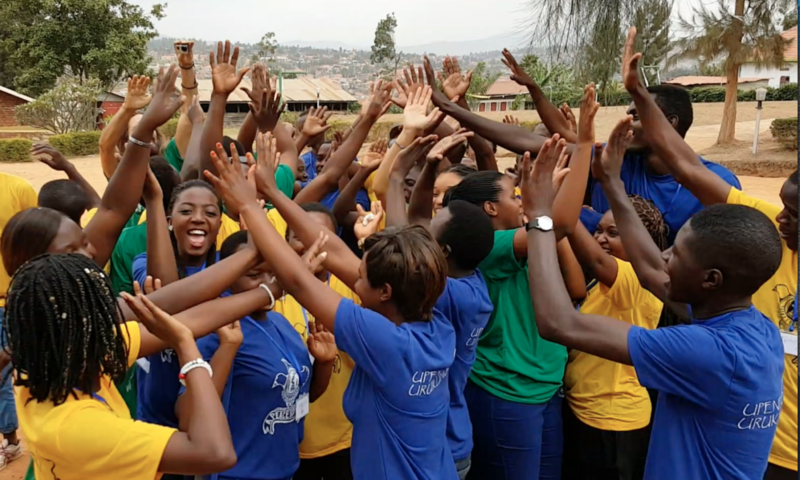 Be a part of training and encouraging these amazing youth catalysts for peace and development in Rwanda, DR Congo, and the Great Lakes region of Africa.